Excessive rain in a small Manitoba town made the local airport’s gravel runway nearly unusable. Effective dust control can protect unpaved runways like this one from even the harshest conditions. A string of bad weather brought more than just a gloomy mood to the small town of Gillam, Manitoba, after historic rainfall at the end of 2016 left the local airport’s gravel runway nearly unusable. CBC News reported that the “soupy” conditions caused planes to sink into the ground, leaving gaping tracks and ruts in the surface. 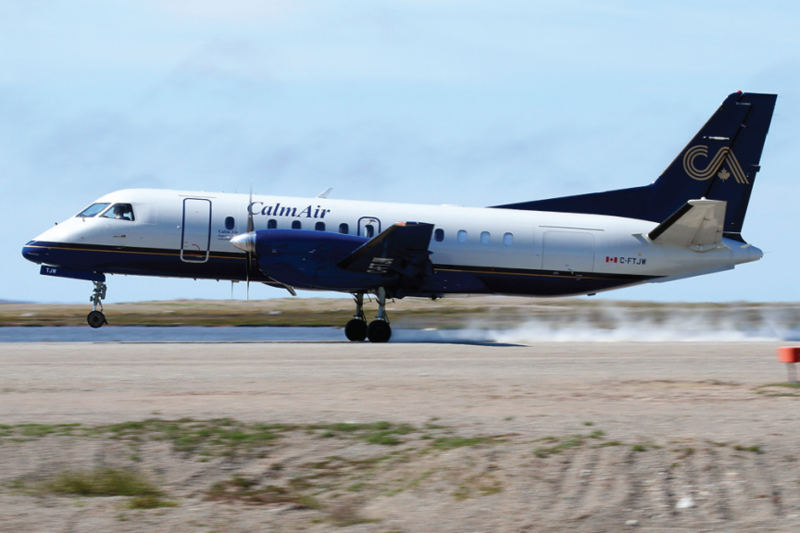 The issue came to a head in early 2017, when the runway’s unusable condition forced Calm Air to reschedule or reroute several of its flights to Gillam. The gravel runway had become so degraded that larger planes could land only after freezing temperatures had hardened its surface. Like many small communities in rural Canada, Gillam relies on its local airport as a vital connection to urban centers of commerce — the state of this gravel runway was therefore a critical issue for the entire town. As the problem persisted through the winter, Gillam Airport was forced to reevaluate its runways and determine any measures it could take to protect them from the harsh elements. While other areas of Canada have seen their gravel roads and runways negatively affected by precipitation and thawing snow, local officials said that this was the first time anything of the sort has happened in Gillam. “To the best of my knowledge this hasn’t happened [before] at all,” Denise MacDearmid, Gillam’s Emergency Services Manager, told CBC News. The clear causes of Gillam’s plight were unprecedented rains in the fall and quickly-thawing snow from that winter. CBC News’ meteorologist revealed that Gillam saw rainfalls 40% higher than average in September, while October’s average rainfall rose by a whopping 300%. Since the rain also melted most of the snow that fell that month, Gillam was left to slog through a far wetter winter than usual. Airport officials tried a number of different approaches to strengthening the runway, performing regular snow removal and using graders to shift the earth around the actual runway surface in order to better expose it to the air. Unfortunately, these measures provided little relief, and conditions largely failed to improve until the (late) arrival of spring. While Gillam Airport has since recovered from its dire situation, there’s always a possibility that another wet winter could cripple its airport, cutting off its primary connection to the outside world. With a proven semi-permanent gravel runway, however, any airport can protect its gravel runways from even the bleakest weather conditions. With over four decades of experience in treating gravel runways, Midwest Industrial Supply, Inc. offers patented products and custom installation programs that keep surfaces strong, durable, and weatherproof. Our Semi-Permanent Runway Technology settles into the gravel and binds with it, locking runway fines in place and trapping dust as soon as it’s generated. The installation of the first and only semi-permanent gravel runway from the leading innovators in soil stabilization and dust control can reduce fugitive dust emissions by up to 95% and lower maintenance costs by 50%. If your village or township has a gravel runway in need of repair, Midwest is ready to develop a customized turnkey application program that ensures your airport is ready for landings for years to come.